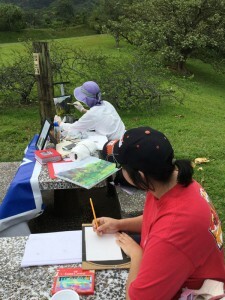 ” Urban Sketchers O‘ahu is the regional chapter of Urban Sketchers, an international organization dedicated to raise awareness, interest, and enthusiasm for urban sketching (aka “sketching on location”) as a way to document local scenes, express ourselves artistically, and make connections with the community. Our group is made up of artists of all experience levels and with varied preferences when it comes to styles and media. At present, we meet monthly, generally on Saturday mornings, but we will be adding events in the future. 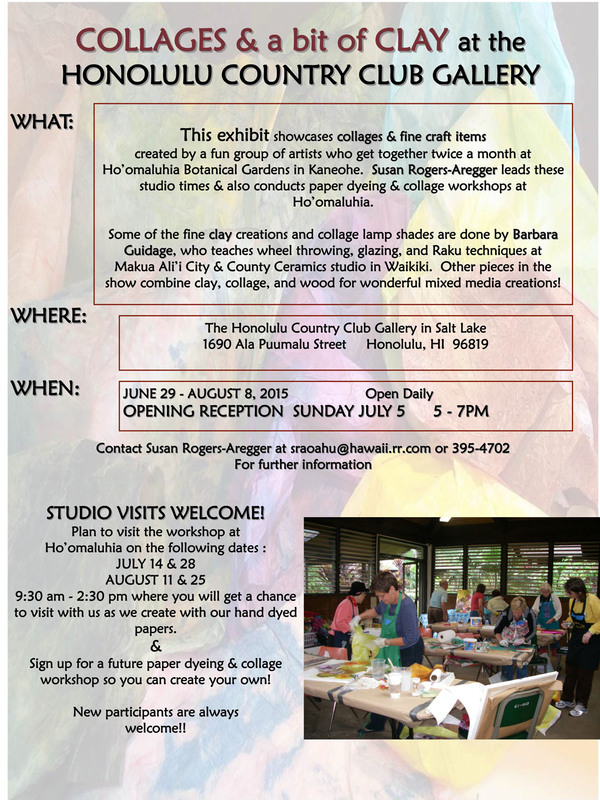 Our next event will be at “Art on the Zoo Fence” by Kapi‘olani Park on October 3, 2015. 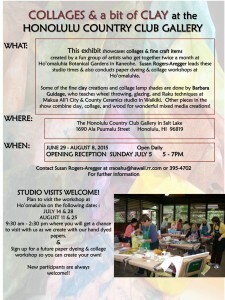 It will give us the opportunity to sketch people and art stands, as well as interact with local artists. We hope that you will join us! Thank you for reaching out to us, Sebastian and Urban Sketchers! Lucky Castle HS art students! Their teacher, Casilda Gracias used her 2015 WAG grant for a field trip to Hoomaluhia Botanical Garden. Her concept was to have students research native Hawaiian plants, then create both a pastel painting, and a canvas painting, using the techniques of artist Georgia O'Keefe. 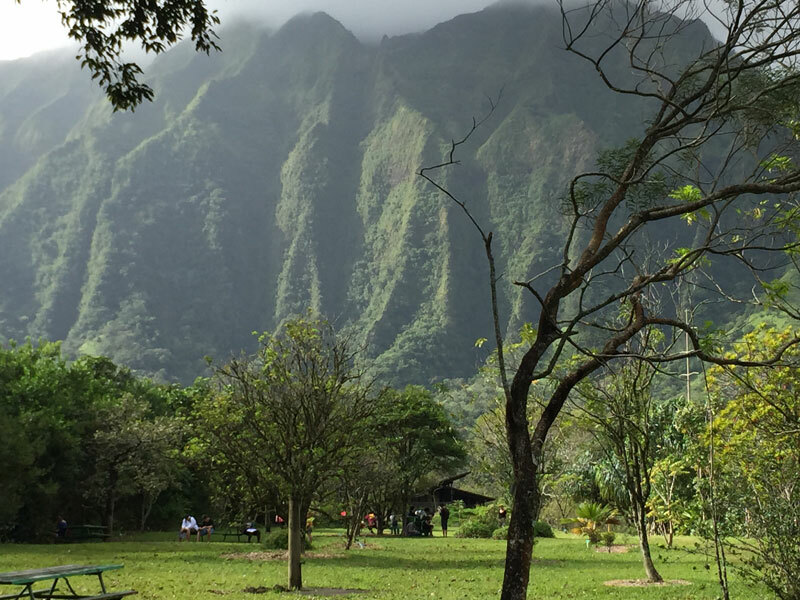 They additionally learned the meaning of endemic, indigenous and native plants, as well as state laws that govern over threatened and endangered native Hawaiian plants. Their chalk pastel painting designs were first sketched in pencil. The subject had to touch all 4 sides of the paper, and the focal point was required to be off center. The sketches showed value, shadows and highlights, then were colored with pastel in either warm, cool, or realistic colors. 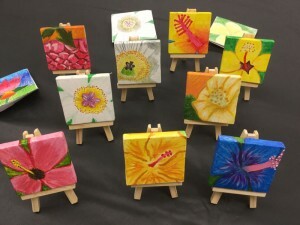 At the end of the project, each student successfully produced a Native Hawaiian mini canvas watercolor painting.